I am always on the hunt for an at-home microdermabrasion/peel system that has the 'wow' factor. After suffering with acne, scarring and a very uneven skin tone for years now, I've always wanted to try an actual full-blown peel/microdermabrasion, but I've never been able to afford it (get the violins out). Therefore, it always made sense to me to seek out do-it-yourself kits as they are only a fraction of the price and you can, obviously, get multiple uses out of them. 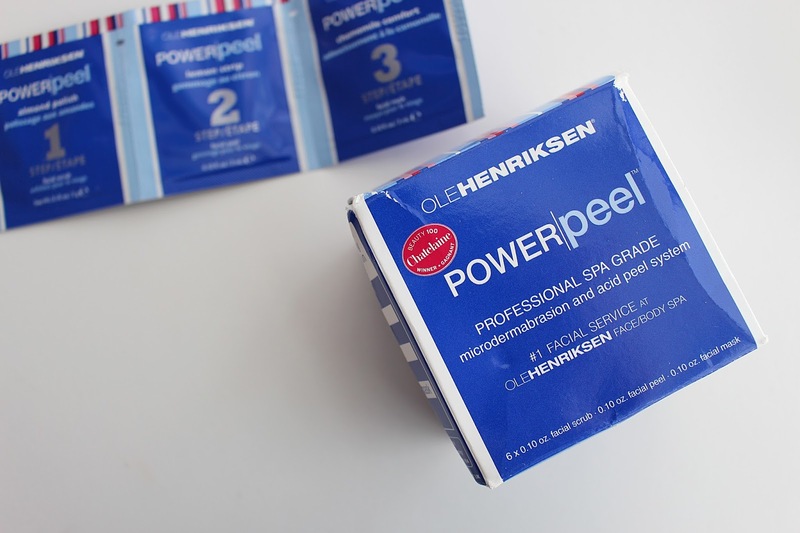 Ole Henriksen is a brand I'd certainly heard of, but never tried anything from, until the Power Peel kit came into my life. 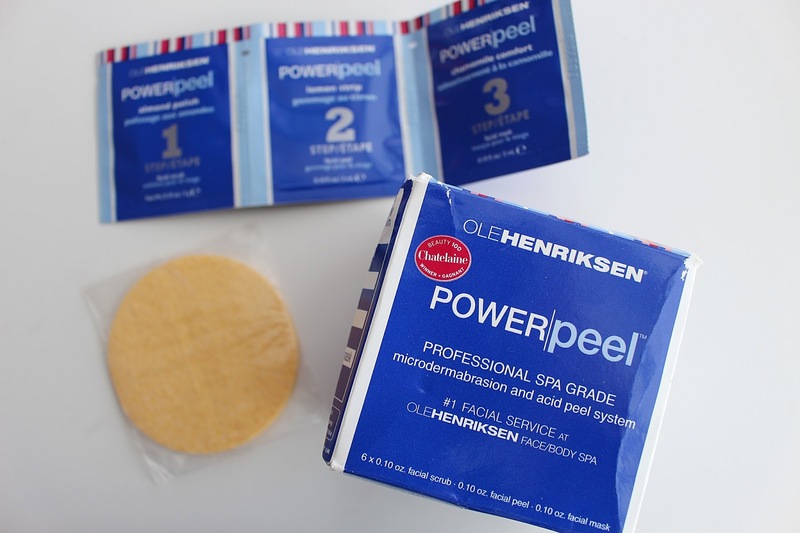 As soon as I heard about it I was sold - it's the number one facial service at Ole Henriksen face/body spas and, you know, it has 'acid peel' in the name, which means it will really give my skin a serious refresh - something it's in desperate need of. When I received the peel in the post I'll admit I was a bit 'huh?' at finding there were three steps to this thing - but it's really not complicated at all, and the little sachets it comes with are really handy as you know exactly how much to use. You start off with the almond polish, which smells absolutely INCREDIBLE, and is basically an exfoliator that polishes the skin all over your face to help get rid of dead skin cells. Next up, the lemon strip, which is slightly more uncomfortable to apply (it's just a bit of a jelly-like consistency which makes me shudder slightly when applying) but it doesn't hurt and sinks into the skin nicely, all the while doing the major work of peeling and refining the skin. This is probably the most important part of the process as it contains glycolic acid (something also found in REN's Glycolactic Radiance Renewal Mask, another favourite) which is my favourite ingredient when it comes to refreshing, refining and renewing the skin. Finally, you finish things off with the chamomile comfort mask which really soothes and calms the skin, containing evening primose and jojoba seed oil - a dreamy combination. I've used the peel a few times now and I have to say, I'm really impressed. It has considerably improved the texture and feel of my skin, as well as helping reduce blackheads, enlarged pores and scarring. As soon as I've finished using this my skin feels silky smooth and gorgeous, and I can definitely see how much clearer it looks after just a few uses. I think this is a great monthly treatment - I say monthly as you get six sachets of each thing, thus meaning this will last six uses. However, for the price I think that's actually really good - especially considering an in-salon peel would cost you above £36 each time. I totally recommend this for anyone who's thinking about having a salon peel but can't afford it, or simply for someone who wants to reduce the size of their pores, scarring or has wrinkle concerns. I adore this and will definitely be purchasing another kit once my current one runs out. 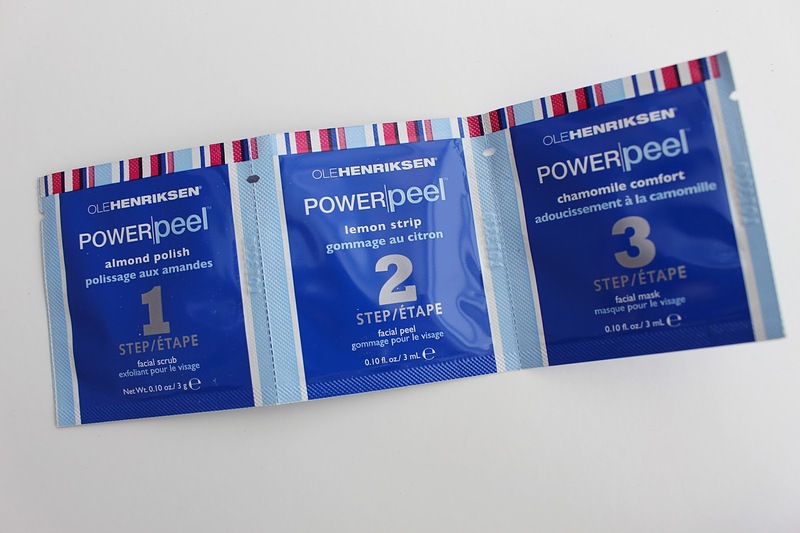 Have you tried any at-home peels before? Let me know what you think!